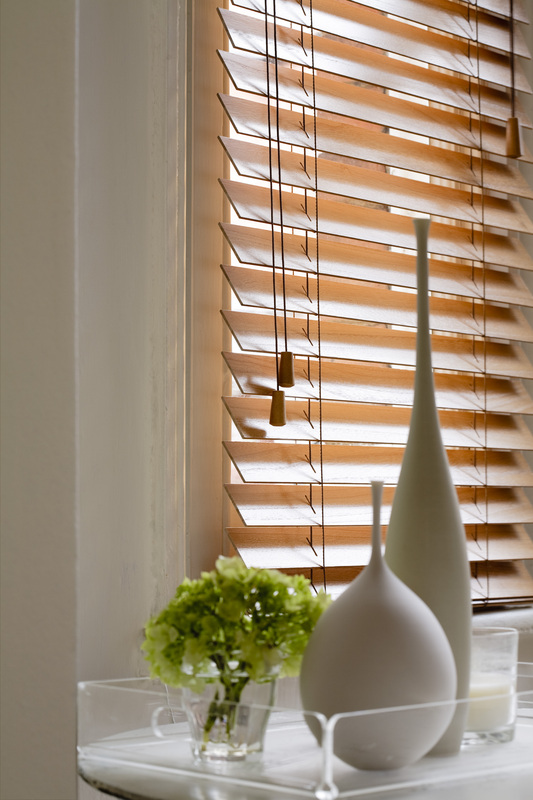 Our Wooden blinds are both practical and tough, with the beauty of a beautiful grains and smooth finishes. 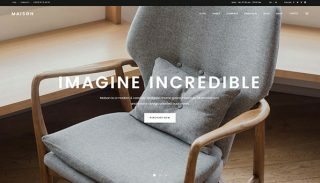 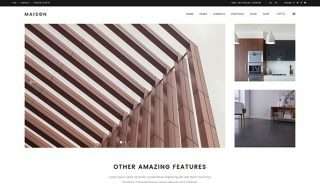 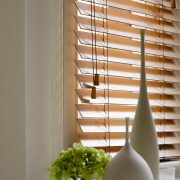 There are lots to choose from including natural wood tones for a warm and welcoming feel, or, if you like contemporary style we have a painted range which include subtle neutrals and muted tones. 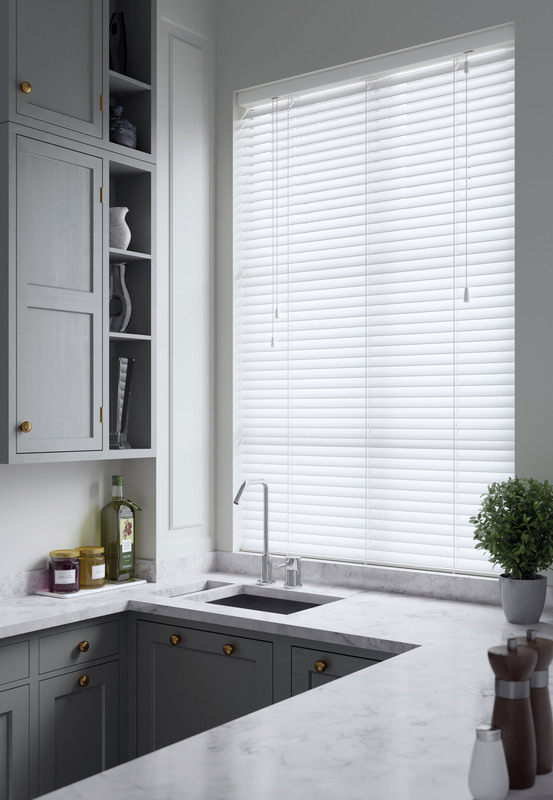 The wood we use is grown in sustainable forests, so you can choose your blind safe in the knowledge that it’s been sourced responsibly. 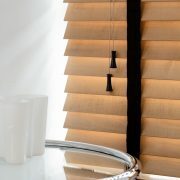 We also offer Faux Wood Blinds. 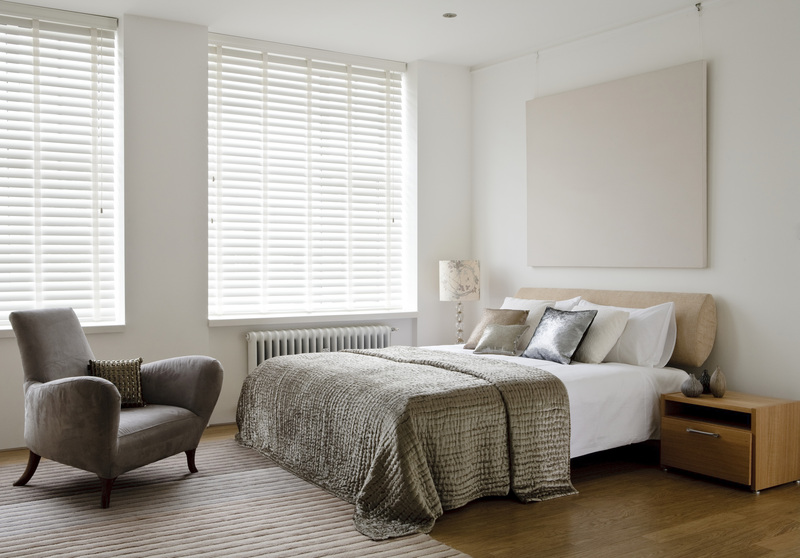 Some rooms, particularly bathrooms and kitchens, require a high performance finish. 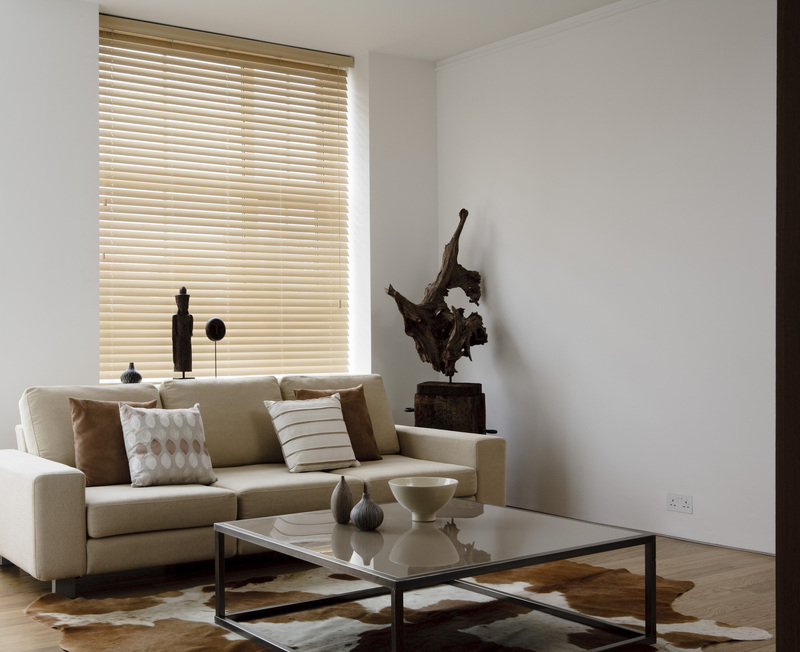 Faux wood is available in painted and natural finishes, they combine the beauty of natural wood with moisture-resistant qualities that are just perfect for steamy rooms in the home. 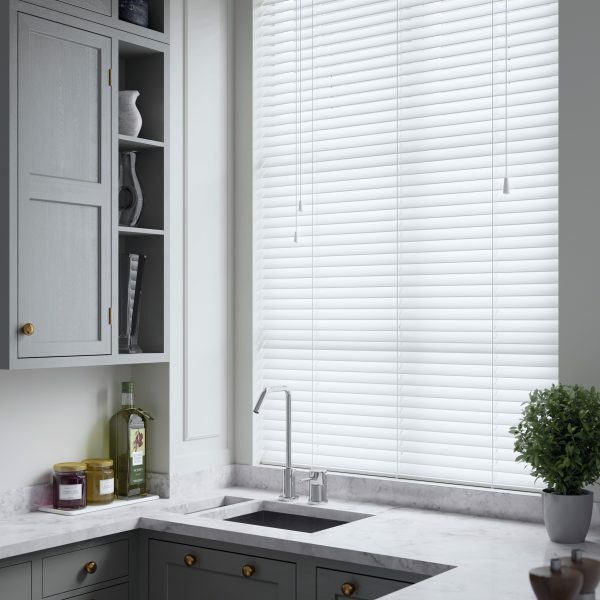 have a wide range of contemporary neutral shades – from natural stone to silvery grey and smoke – giving you more lots to choose from. 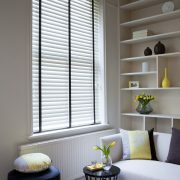 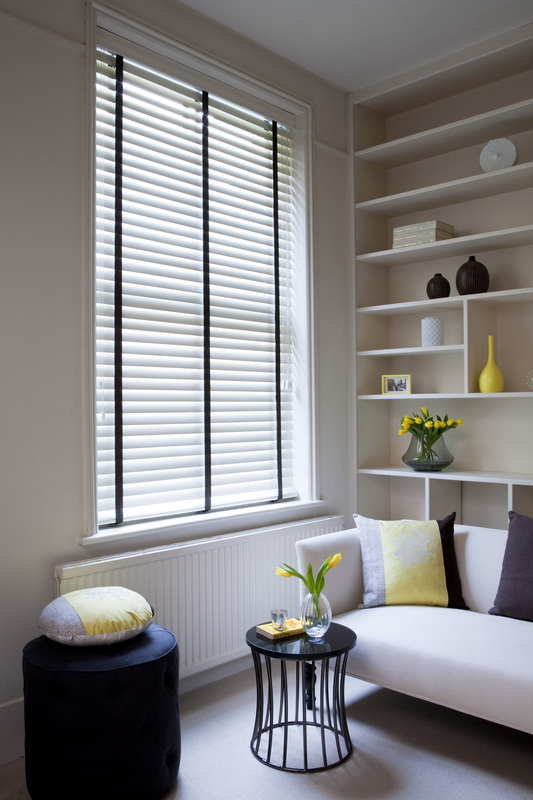 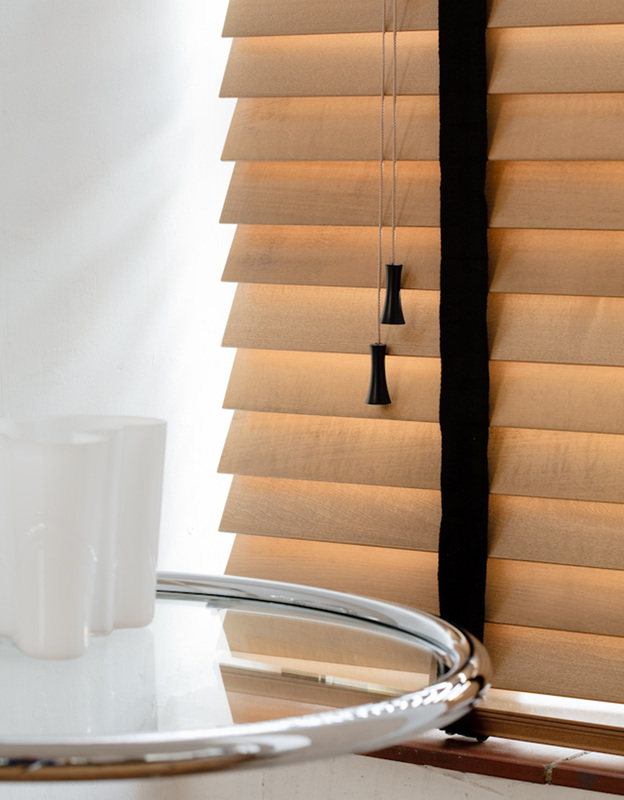 Both our Wood and Faux Wood blinds are available in a range of slat widths and with standard strings or tapes.